Economists can help shape monetary policy, global policy and even how much you pay for a new pair of shoes. For example, did you know globalization changed the market for illegal drugs? How do fitness studios and providers of Internet access earn most of their money?--From the laziness and irrationality of their customers. 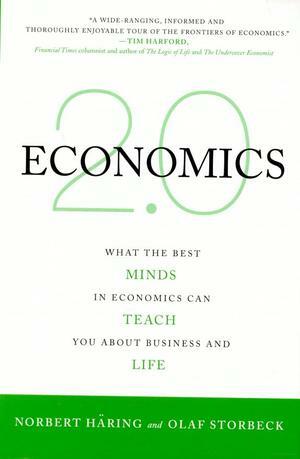 The book features recent work from top thinkers in the economic field from around the world, such as Philippe Aghion, Paul Krugman, George Akerlof, Gary Becker, and George Loewenstein. The book includes chapters on: - Financial Markets: Are they completely efficient or totally nuts (rational vs. emotional) - The Art of Selling: How marketers use consumer decision making data to sell us products we don't need - The Subprime Crisis: Why it happened and how to deal with it Economics 2.0 makes an impressive case for the argument that economics is not a dry science and that economics principles impact much of our day to day life. Completely without formulas and theoretical ballast, the authors present current findings of prominent economists and expand the economic knowledge of their readers. The authors manage to make complex relationships clear thanks to their clear writing style.